Home is where the craft is.....: Layering Stamps - light on dark and dark on light comparison. Plus bonus kraft card tip! Layering Stamps - light on dark and dark on light comparison. Plus bonus kraft card tip! 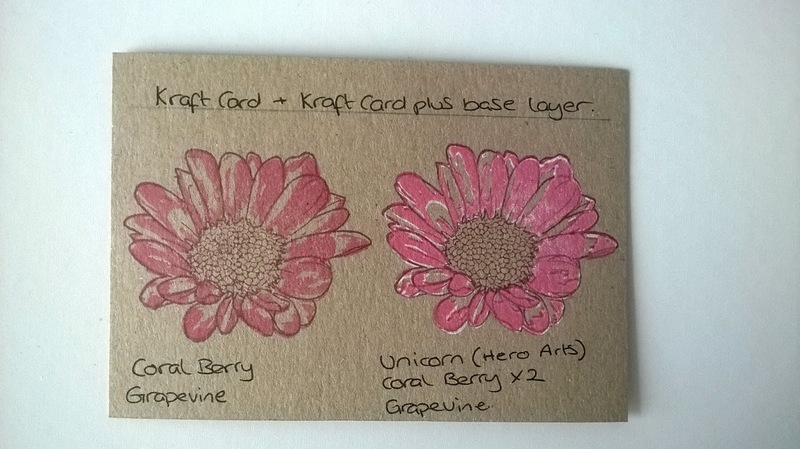 Today I have a little post that talks about stamp layering or laminating as some may say. I'm sure by now you will have seen this crazy taking the stamping world by storm. There are several companies out there who have been manufacturing layered stamps for a while and each week there seems to be more companies coming to the party. I LOVE the layered look and just can't get enough of it so I thought I'd have a play and try different ways of layering the stamps to see what effects I could create. Most of us that have tried these types of stamp will more than likely be using the light to dark process. This consists of using your lightest ink on the base layer and working up to the darkest colour o the final detail layer. This creates a lovely crisp image and one that we are familiar with. 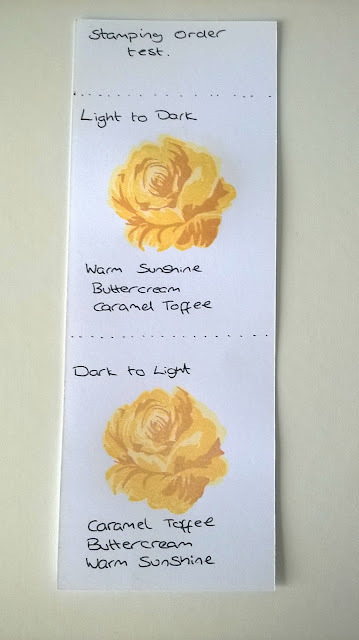 I heard about some people using the reverse stamping technique when layering their stamped image so I had to give it a go and see what it was all about, would it really make a difference to the final image? The answer is yes! Now another thing I was curious about was how on earth people were using light inks on kraft card when layering their images, the answer is so simple - White Ink! Yes a base layer of white in for the stamped image to sit upon provides an extra pop to the colour allowing it to stand out form the Kraft card. 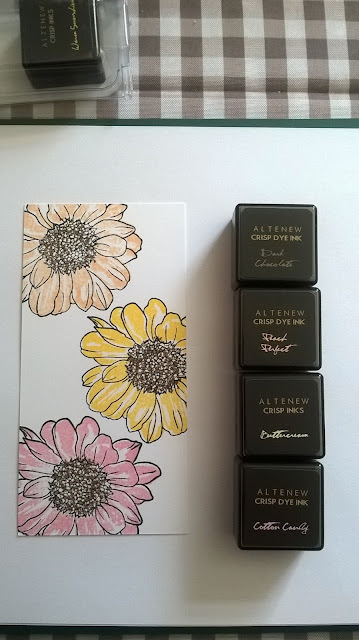 Again I used Altenew crisp inks, for the undercoated sample I used Hero Arts Unicorn white ink. Layering stamps really are fun to use and you don't have to get things spot on every time, a layer that is a little off line give a cute effect. See my sample above, it's not perfect but I'm more than happy with it. All this talk about layering stamps has got me hungry for some inky craft time. I'll share some projects soon.